Greetings! 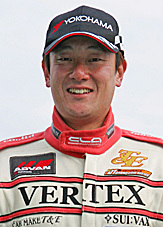 This is Takahiro Ueno, and I compete in the D1 Grand Prix professional drifting series! JDM-OPTION had assigned me the next column space for the D1 drivers and here, I would like to provide the readers with a sneak peek into my lifestyle. It has been 10 years since I started the company Car Make T&E. Time does sure fly by fast when you're kept busy every single day! I can proudly say that every product that T&E produces had been designed by yours truly. All the body kits are designed with a sense of boldness combined with simplicity. The general idea is not to disturb the overall contour of the vehicle, yet create a body style that exudes attention. A lot of people ask me if it's difficult to design everything by myself, but I personally find it very enjoyable and satisfying to transform my ideas into actual physical form. The thing that pleases me the most is that there are many car enthusiasts out there that share the same taste in aero kits as myself. It's because of reasons like these that keep me motivated to continue producing these sensational body kits. So anyways, please keep yours eyes open for the new body kit for the JZX90 which is still in development. It will definitely be bold yet simple! In those TV shows featuring the police, they most often have a high speed car chase where the vehicle will screech its tires to a 180 degree stop, or make turns at a very high velocity. Witnessing these cool scenes, I found it very appealing to try these stunts one day. At the time, there was a police drama series named "Abunai deka" (Dangerous Cop) that I used to watch all the time. Whenever a car scene was on, I always wondered how those guys got to move the cars like that. This was the beginning of my drifting career. I had a part time job when I was still in high school, and by the time graduation rolled by, I had enough money saved up to buy a R32 skyline. My passion for drifting was crazy back then, as well as a passion for cooking. I was torn between these two paths. Then I started our very own drift team called "Night Legend". Unlike regular drift teams, we never had a home course. We would try to race on everywhere in the Kanto area because beating a rival drift team on their home course is a feeling that we will never forget! During that era, my vehicle of choice was a pink FC3S which I was widely known for. Today's image of Ueno = Soarer never existed yet. The pink bodied FC was easily recognizable and very flamboyant. I always loved to be different than the rest. I would also try things that were different from the norm. For example, if a person would say to me that it's impossible to drift that turn in 4th gear, I would go ahead and attempt it! I've come to realize that when you own your own company, business and personal matters most often end up getting mixed up with each other. Because I value my personal time and especially being with my 2 year old son, I completely separate with my work life when I come home. Most evenings I play with my 2 year old son and always try to eat dinner with the family at home. No matter how busy I get, I always try to come home on time. I had a time which wasn't exactly a breeze. There were times where a decent meal was a luxury that I couldn't afford when I started this business. So that's why today I very much appreciate being able to provide my family with food. Let's change the subject since this topic is becoming a bit gloomy! One of my other hobbies includes watching movies. The most relaxing time of my weekend is when I would go buy some DVDs, sit back on my couch and enjoy them. In case you guys are wondering, yes I sometimes cry when watching a good tearjerker. I can't help the tears sometimes! (Laughs) I really wasn't intending on starting a collection but now I probably have over 1000 DVDs! Every time I buy a movie, my wife harasses me by saying "You bought another DVD?!" So that's why lately whenever I get a DVD, I hide it in my car until the wife isn't looking and I sneak it into the stack. This is a secret ok?! I also love to drink. 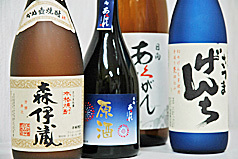 My favorite is the Imojyochu (potato sake). When I start drinking this stuff, I can keep drinking until the sun comes up. I hold back and stick to beer because drinking too much can't be good for my well being. Still gonna progress and move forward! After competing in D1 and managing my own company, I would really like to get involved in an industry other than the one that I'm in now. Going back to what I said about cooking and how I love food, I'm wondering if I should try to get into the restaurant business. Right now I'm leaning towards a type of restaurant that everyone will enjoy that is centralized on beef. But I'm still not going to let my grip loose on drifting and producing aero kits either! 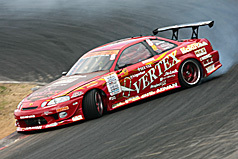 Ever since the first D1, Takahiro Ueno has competed in the D1 Grand Prix series in the Soarer. Currently in the industry, he has created an image of a red Soarer = Ueno. His machine is outfitted with many carbon fiber components and is nearly a full blown race vehicle. Ueno claims that if it wasn't for this Soarer, T&E wouldn't have lasted over a decade. The shop still going strong, Ueno states "The day I sell this car means the day T&E goes out of business." Every body kit from T&E is personally designed by Ueno. The bold, yet simple design is still his policy when creating a piece. That policy greatly reflects Ueno's lifestyle and personality. Ueno is in love with the Imojyochu (potato sake). He claims that one sip and he cannot stop drinking it for the rest of the night. So he stays cautious of the next day's schedule if he ever starts taking a sip.